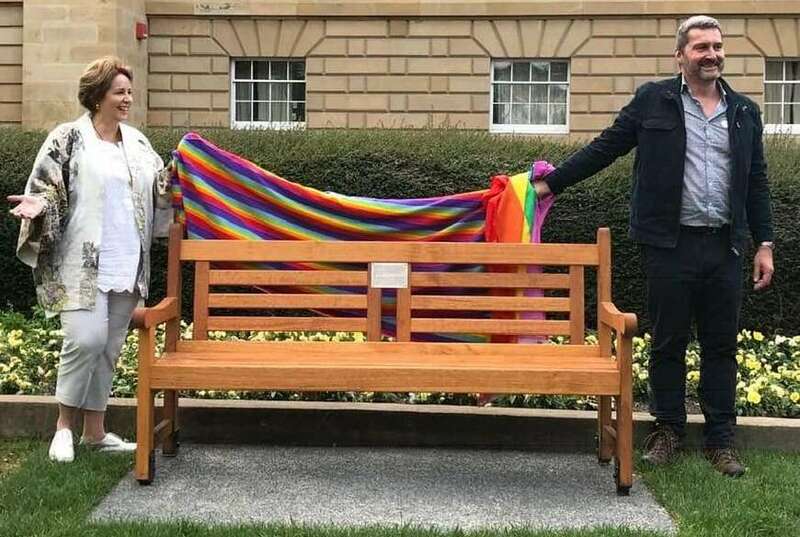 A permanent public memorial to celebrate Tasmania’s LGBTIQ equality movement and those who contributed to it has been unveiled outside the state’s parliament. 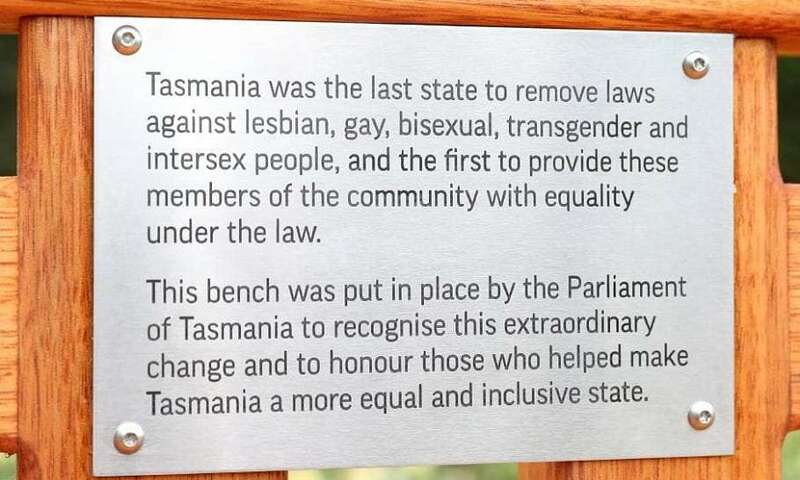 Tasmanian Lower House Speaker Sue Hickey on Saturday unveiled a new public bench on the lawns of the parliament that has a plaque dedicated to Tasmania’s progress towards LGBTIQ equality. The new seat is just metres from where, thirty years ago, 130 activists were arrested in October 1988 for protesting the Hobart City Council’s decision to close down a gay law reform stall in the popular Salamanca Market. On Saturday a public celebration was held on Parliament Lawns to celebrate the three decades of progress on LGBTIQ rights in the state since the arrests. 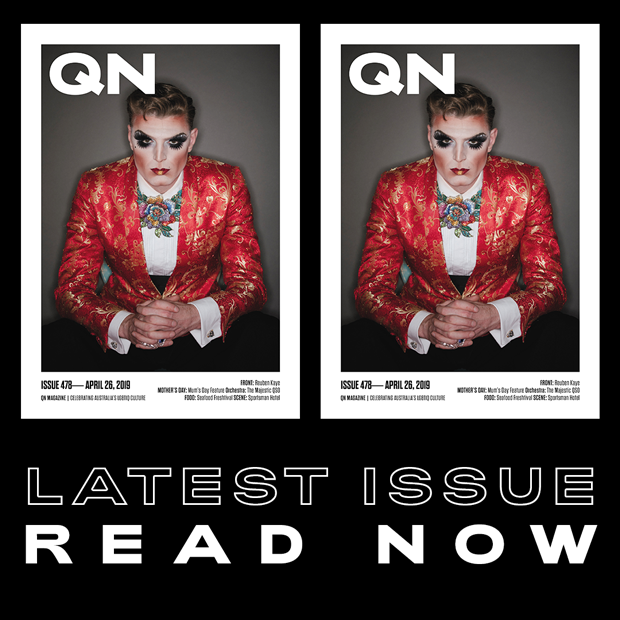 “Tasmania was the last state to decriminalise homosexuality but went on to enact the nation’s best discrimination and relationship laws, and take the lead on marriage equality,” he said. “Tasmania’s transformation was confirmed when we returned a higher ‘yes’ vote in last year’s postal survey than any other state except Victoria. Tasmania Police Commissioner Darren Hine said the state had come a long way in embracing diversity since the 1988 arrests. “I am proud to stand alongside the members of the LGBTI community as we acknowledge the events of 30 years ago,” he said. The Tasmanian Gay and Lesbian Rights Group was formed in early 1988 and has been at the centre of many of the positive legal and cultural changes in Tasmania. On Saturday the group announced a name change to the more inclusive “Equality Tasmania”. The celebration on Saturday drew hundreds of LGBTIQ community members and supporters. The crowd heard from people who contributed to change, including former and current politicians, Bob Brown, Lara Giddings, Christine Milne and Sue Hickey. Local advocates including Nick Toonen, Eva Ruzicka, Lee Gwen Booth, Martine Delaney, Sam Watson and Rodney Croome also spoke, as musicians including Monique Brumby, Peter Hicks, Kartanya Maynard and the QTas Choir performed. The unveiling of the memorial was just one of several events being held in Tasmania to mark the 30th anniversary. 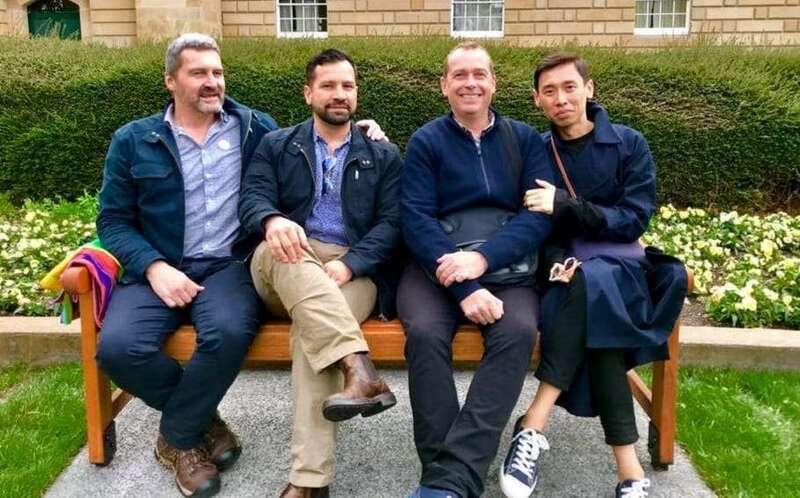 On Friday, a new exhibition on the history of Tasmanian LGBTI human rights activism from 1998 until last year’s postal survey was launched at the Tasmanian Museum and Art Gallery in Hobart. The exhibition titled “We’re Not Going to the Mainland”, includes historic photos, documents, objects and audio-visuals. It opens today, October 19th, and continue will continue to September 1 next year. Today, a new stage play called “The Campaign”, covering the Tasmanian gay law reform campaign between 1988 and 1997, will premiere at the Peacock Theatre and run until November 3.